This necklace is a must-have for your favorite driver. 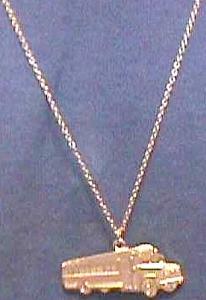 Chain measures a full 18", and the gold-colored bus is 1 1/2" x 3/4". © 2003 SchoolBusShop.net - All Rights Reserved.